From northbound US 11W (which ends here) and US 421 southbound. Note that VA 381 is no longer posted here. 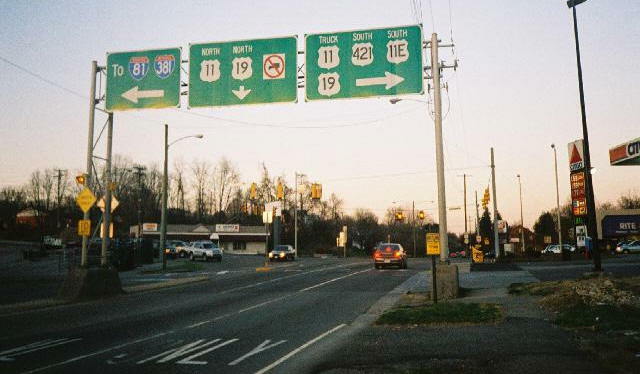 Also note that on paper US 11W doesn't exist and is referred to as US 11. Photo by Nicholas Mooneyhan, taken in 2003. From northbound US 11 at the West Virginia State Line. Photo by Mapmikey, taken February 1, 2006. From southbound US 11 at the Virginia State Line. Photo by Mapmikey, taken February 1, 2006.